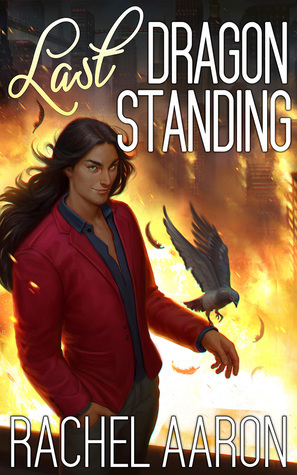 I’m a big urban fantasy fan, and earlier this year I read The Ledberg Runestone by Patrick Donovan, the first in a new urban fantasy series about a snarky, morally questionable, but ultimately lovable, shaman named Jonah. The book was great, and it’s a series I’m looking forward to continuing! The author has taken the time to answer some questions about his new series, and I’m excited to share the interview with you all today—I hope you all enjoy his answers as much as I did! Magic: To some, it’s spectacle. To others, it’s proof that there’s more to life than meets the eye. To Jonah, it means one simple thing: money. A shaman for hire, Jonah knows how to tap into his powers as easily as he can turn on a light switch, but the real money is in putting on a show. That is, until a mysterious woman makes him an offer he can’t afford to refuse: $20,000 all if he finds a little thing called the Ledberg runestone, legend of Norse mythology. With debt collectors like the Carver brothers breathing down his neck, the offer should be tempting, but when they threaten his father’s life, it becomes a mission Jonah must take. As he starts to explore Asheville’s seedy magical underbelly, however, Jonah soon discovers he’s not alone on the hunt. Powerful forces want this stone. Will Jonah survive long enough to save his father, or will his meddling with the mystical finally get him killed? Hi Patrick! Welcome to the blog, and thanks for taking the time to answer some questions about your series for me. I’ll just jump right in. I’ve read about characters with lots of different types of paranormal abilities, but this was the first time I had ever read about a shaman (although I’m not sure paranormal is the right word to use for that). Can you tell us a little bit about shamanism and why you decided to include it in your book? It’s my absolute pleasure. I hope having a scrub like me around doesn’t bring down your property values, though. As far as the idea of shamanism. I don’t know if Jonah fits in with traditional shamanism, to be perfectly honest. The whole idea came from my son, oddly enough. He’s on the Autism Spectrum, and I remember when he was a wee lad, thinking to myself that the reason he zones out like he does is that he’s seeing things that everybody else can’t. I took that idea and ran with it, mixing it with the idea of the mystic from a lot of different TV shows and books I read. I do try to keep to some of the more nature based magic ideas with it, however, just because it works for the world building and the like. Jonah is one of those unlikeable yet likeable characters. He’s got a lot of flaws and does some amoral stuff, like conning people and stealing, but I still found myself rooting for him. How do you manage to find that balance of making him hard to like yet still getting readers to root for him? I think what it all came down to is I wanted to make him multifaced. I wanted him to not just be all good, or all bad, or unstoppable. I wanted to write someone who was flawed, but underneath it all human. I’m a firm believer that even some of the hardest cases have a little decency in them, so I tried to capture that as much as I did the problems. I’m a big supporter of physical disability in books because it’s something that often gets overlooked in the discussions about diversity. And your main character, Jonah, has a bad leg and uses a cane. Was disability something you knew you wanted to include from the start, or did it simply come about as part of his backstory once you started creating him? When I first started to get the picture of Jonah in my head, I honestly saw someone who was a mixture of House and Dean Winchester from Supernatural. He drifted away from that, but I really like the idea of him carrying his past with him. In the next book, we’ll find out a little bit more about how that happened, along with some of the people that are mentioned in this book that are gone. At least, that’s the plan. There were some seriously intense, graphic scenes in this book. How do you get in the right frame of mind to write scenes like that? Do you have certain music you listen to, do you need total silence, etc.? Oddly enough, I never really planned on the violence being so intense. I knew the book would go to some dark places. I have a history with addiction myself and it’s a very dark world. I’ve left that behind, but I still carry some of those memories with me. I never dealt with anything to the extent of our intrepid hero, but I knew there had to be something sort of visceral in there. I just let the story tell itself. That being said, the scene with Cash and the story about the kittens. I questioned my sanity after that one. I have to admit, The Ledberg Runestone gave me lots of father-son feels because Jonah and his dad had a few really touching moments. Jonah also had a great friendship in the book though. And there was a hint at a potential future romance. Which of these relationships has been your favorite to write so far, and which are you most looking forward to writing more about? I really like the relationship between Jonah and Pop. There’s a bit of a story behind that. While I was writing the book, my father had a lot of health problems. He’d had a few strokes and was bed ridden, so I wanted to write something that put a lens on a father son relationship. Sadly, he passed away before he got a chance to read it, but Pop is a pretty intrinsic character moving forward. In book three, assuming everything goes as planned, I’m going to really focus on Jonah and Sam. That’s a friendship I’m really hoping to dig into and give more legs. Now for Some Fun… The Lightning Round! An octopus. I have no idea why. If you could have any superpower/ability, what would it be? 10,000 word days, every day. These books don’t write themselves, sadly. Somewhere in Scandinavia. The Northern Lights are a bucket list thing. If you could have any food appear in front of you right now, what would it be? Lasagna, and an ice-cold Diet Pepsi. In a can. If you could dye your hair any crazy color for one day, what color(s) would you choose? I keep my head pretty much shaved, but it could be cool to dye my beard a lovely shade of blue. Is there anything else you want to say to your current and potential readers? A couple things: First, thank you. If you read the book and enjoyed it, thank you. If you read the book and hated it, thank you. Thank you so much, Patrick, for answering my questions, and I can’t wait to see how everything progresses in the series! Patrick Donovan is the author of the Demon Jack Urban Fantasy series and the upcoming Jonah Heywood Urban Fantasy Series. He currently lives in the Piedmont Region of North Carolina, where he divides his time between teaching, writing, and pretending to act like a responsible adult. Do you have any more questions for Patrick? Are you a fan of flawed characters? Which part of The Ledberg Runestone sounds most interesting to you? Kimberly @ Caffeinated Reviewer recently posted: Sunday Post #315 I wore shorts and flip-flops! I love that the idea came from his son! Like you, I don’t think I’ve read a book about a shaman… I have played as a shaman in video games, but never read about one in a book, lol. Can only males be shamans? Is there a female term? Are they both shamans? I’m curious about this. Really great interview! Also, an octopus? I laughed! Ohh, and the cover gave off a Dr. Strange vibe, which I love. I love that so many of the ideas came from personal things! Idk, I would think women can be shamans too? Glad you liked the interview! Great interview! I hadn’t heard of this book before now but it was still very interesting reading through Patrick’s responses. I love that he got inspiration from House and Dean, both two very interesting characters! And oh if I could have the ability to write 10,000 a day! Wouldn’t that be amazing ? Thanks, glad you still found the interview interesting! I recommend the book if you like urban fantasy! Right? It’s probably taken me three years just to write 10,000 words spread out among various different stories lol. Choosing to be octopus is the type of thing that indicates so much about the person! This was a great author interview and a unlikable character to root for is hard to find. This seems like a gem! Octopi are awesome, haha. Glad you enjoyed the interview! I recommend the book if it sounds like your kind of thing! It’s a great book! But I understand many people have difficulty with graphic scenes. Shamanism is neat, and I love finding book with disability rep! Aww, thank you! I try :-P I always say I want to do more interviews, so maybe I’ll finally start! I’m on a UF kick right now, so I’m down for this. That’s so sweet and sad about your dad and the connection to the book. Haha – but I refrain from making crude jokes regarding octopus answer. ;) Great interview! I thought that was sweet too. I love how so many things in the book were inspired by personal things! oh a book about shamanism! I have always been interested in shamanism! I love how the idea came to Patrick. Loved ones are great source of inspiration for me too. Daniela Ark recently posted: What’s Scheming? Mental Health, Nebula Awards, BEA Children and Comics books! It was very interesting, how it’s people’s beliefs that give a thing its spirit form, or something like that. At least that’s how it was portrayed in the book. I loved learning about the ideas behind the book too! I remember reading your review for The Ledberg Runestone and being interested in the story, and this interview has intrigued me even more! The relationship between Jonah and Pop sounds awesome, I love a UF with strong family dynamics. I’m definitely going to try to track down a copy of this one! 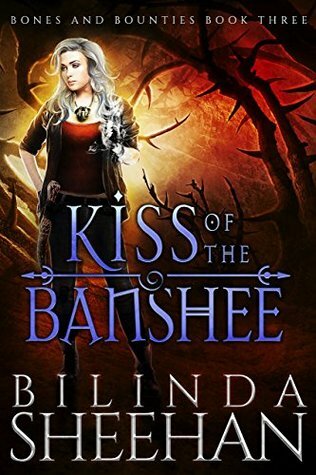 I know you’re a fellow urban fantasy fan, and I do recommend this one! I loved the father-son relationship in this book. I hope you enjoy the book! Fun interview – especially the lightening round. I remember your review for this Kristen and I’ll be picking up a copy! Thanks! Glad you liked the interview, and I hope you like the book! Great interview! I’ve only read a few books with shaman’s so far and it’s definitely a paranormal/ magic subtype I would like to read more of. That’s interesting the author got his inspiration from his son zoning out. It’s always interesting hearing where authors got their inspiration. It sounds like the author did a good job portraying Jonah as a realistic character, he sounds like an interesting character with his likeable and unlikeable traits.